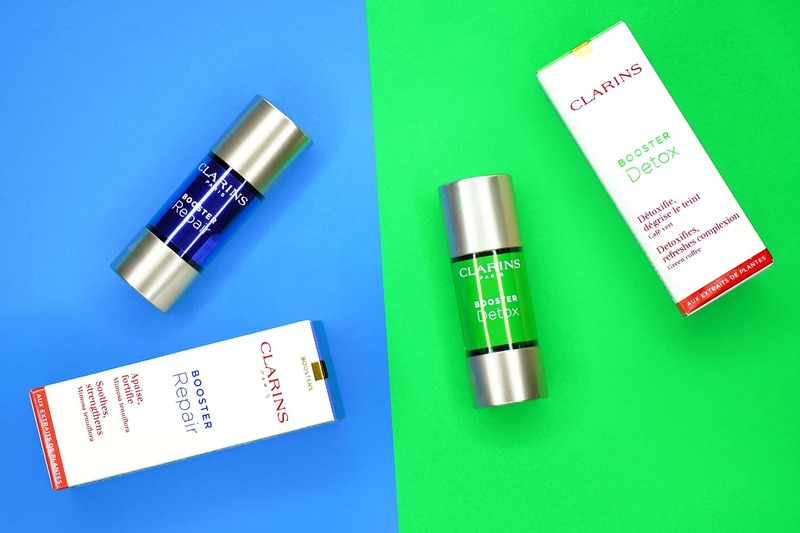 I do also have the third Clarins Booster Energy, but I don’t feel it’s anything new; look at both Clinique Fresh Pressed (actually really similar packaging now I think about it) and The Body Shop’s Vitamin C Glow Boosting Concentrate. But, the Repair and Detox Boosters do present something a little more unique in the industry. 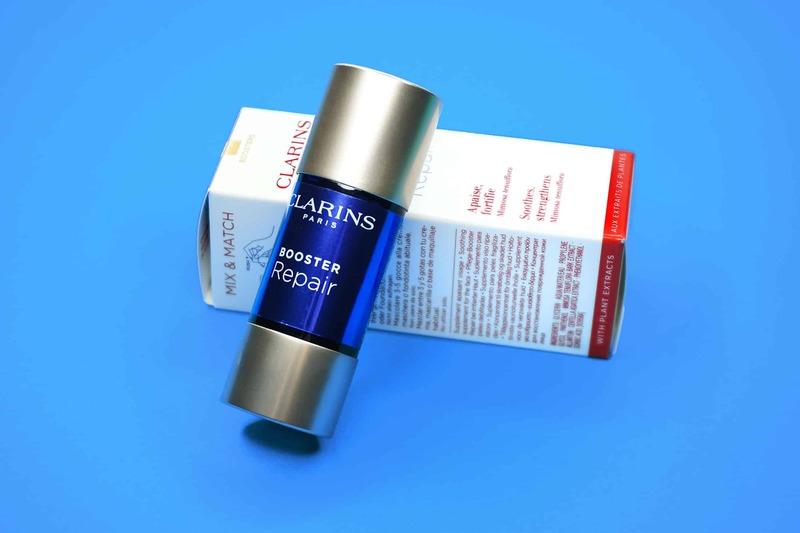 Clarins Boosters are designed to be used with your existing moisturising regime; although obviously Clarins would rather you use it with theirs. To use any of the Boosters, just add 3-5 drops in your hand with your moisturiser, face mask or makeup. You can use these once or twice a day, for a day, a week or a month. It’s really up to you to be honest. The thing I like about Clarins is that they’re not that prescriptive; it’s about how it feels and what you like. They are designed for any skin type, from dry to super-oily. These aren’t serums either. 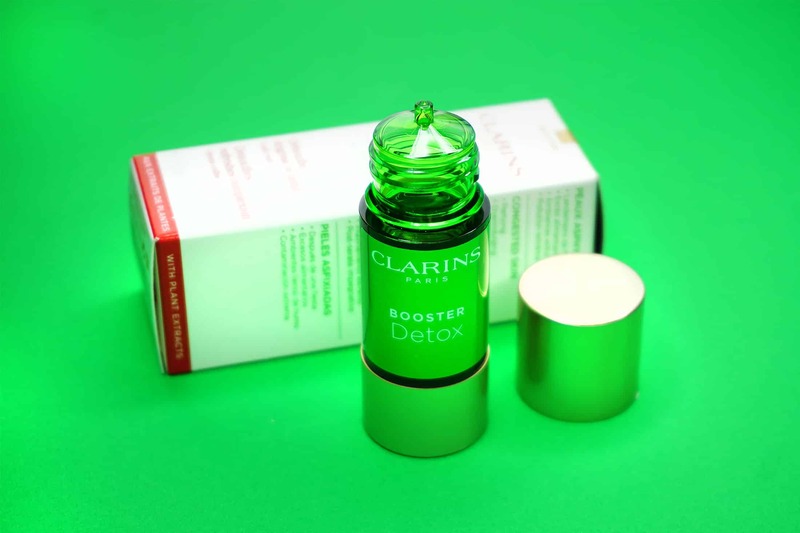 Look at the Clarins Boosters as ingredient supplements, adding an extra dimension to your daily skincare products. I’d definitely still use a serum with these without fear or ‘overloading’ the skin. Each one of the Clarins Boosters has really annoying packaging; I hate those little push button bottoms. 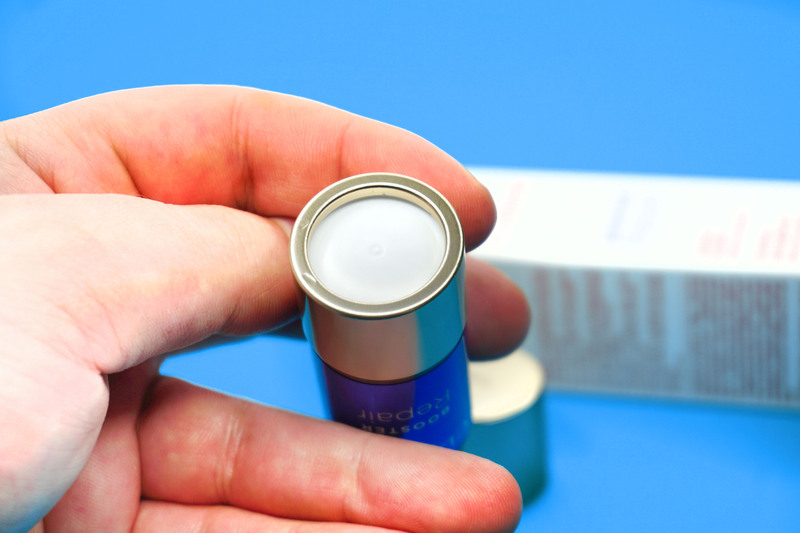 If you’ve got a hand full of moisturiser or product, it can be a pain to grip and push – I’ve thrown it on the floor by accident many, many times. Sometimes you just can’t beat a simple dropper bottle, am I right? This is gorgeous, and actually my favourite one. It’s powered by Oat Kernal extract which is amazing at restoring hydration for any skin type. Remember even the most oily skin can be, and often is, massively dehydrated. Oat Kernal extract helps bond hydration to surface skin cells. Then there’s coffee bean extract which both helps to draw out impurities from the skin whilst acting as a very powerful anti-inflammatory. Finally there’s cotton seed extract to further boost hydration. When you hear see the word Booster, you kind of expect a real visible difference in the skin. However, products that usually offer this do so at the expense of good skin health. 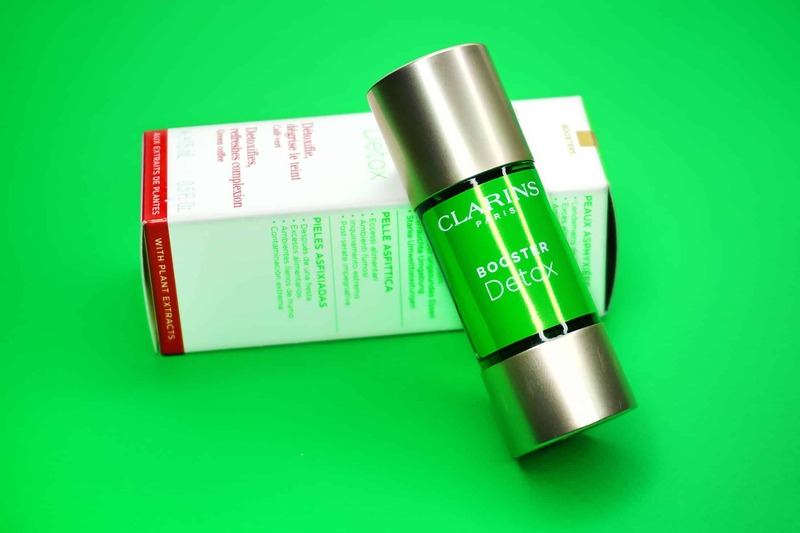 The Clarins Detox Booster, for me, didn’t give a skin transformation at all; but what it did do was make a real difference in how my skin feels. Particularly after being in central London, when I’m back at home near Leeds, my skin just erupts from all the pollution in the air – I’m not talking lightly either. I also tend to wear a little more coverage when spending a day in meetings and at events which also blocks pores. 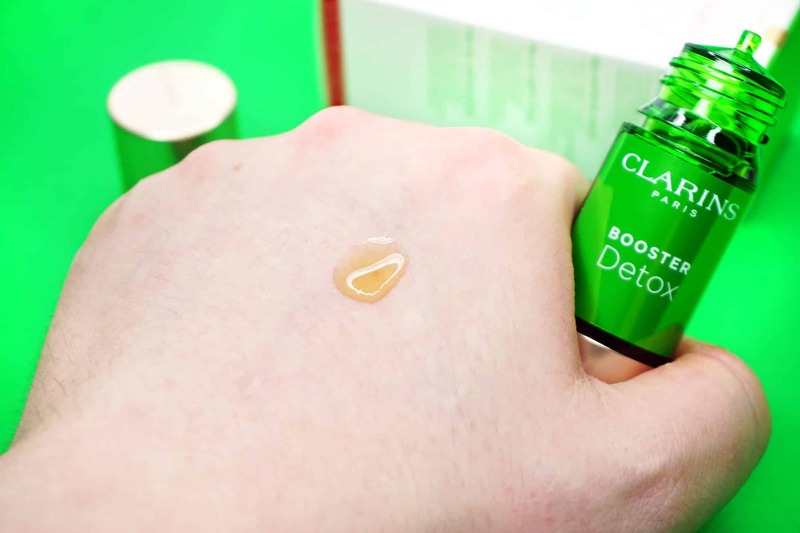 The Detox Booster didn’t neutralize this, but it definitely reduced the effects and is why I love it so much – my skin didn’t feel as ruined and in need of TLC as it usually does. Water, Glycerin, Butylene Glycol, Avena Sativa(Oat) Kernel Extract, Coffea Robusta Seed Extract, Phenoxyethanol, Passiflora Incarnata Flower Extract, Gossypium Herbaceum (Cotton)Seed Extract, Sodium Hyaluronate, Potassium Sorbate. The repair feels great but it’s definitely the most basic of the collection. The power comes from Allantoin as a moisturiser, a hydrating glycerin base, water drenching centella and finally the regenerative properties of Mimosa Bark extract. I used this on my cheeks as they suffer with elevated blood flow and can be sometimes look a touch ‘slap-cheek’. This can leave the area quite dry, but also I avoid using oil rich products as these often don’t interact well with this type of skin concern. 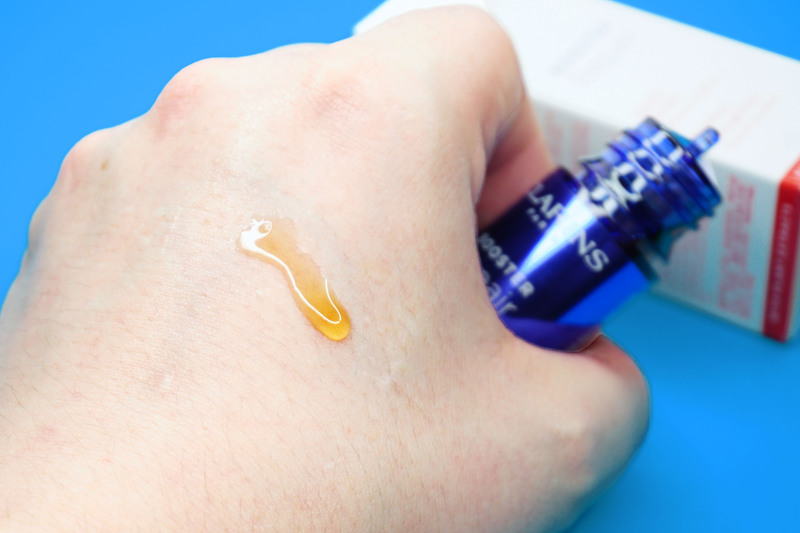 The Repair booster did gorgeous work at restoring hydration in my cheeks but I didn’t find it did anything more than most of the other serums and hydrating products I have knocking around – Aesop Lucent Facial Concentrate really comes to mind. Glycerin, Water, Propylene Glycol, Panthenol, Mimosa Tenuiflora Bark Extract, Allantoin, Centella Asiatica Extract, Phenoxyethanol, Sorbic Acid. This article first appeared on MANFACE written by Thom Watson. It was published on Thursday 6th April 2017 and was last updated on Thursday 6th April 2017 at 10:34pm. It's categorised under Clarins, Combination Skin, Dry / Dehydrated Skin, Oily Skin, Serums & Treatments where you'll find more related content.